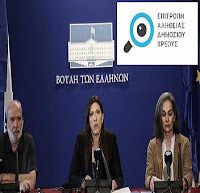 Hellenic Parliament’s Debt Truth Committee. Preliminary Findings - Executive Summary of the report. cemented in an economic, social, democratic and ecological crisis. The black box of debt has remained closed, and until now no authority, Greek or international, has sought to bring to light the truth about how and why Greece was subjected to the Troika regime. The debt, in whose name nothing has been spared, remains the rule through which neoliberal adjustment is imposed, and the deepest and longest recession experienced in Europe during peacetime. All the evidence we present in this report shows that Greece not only does not have the ability to pay this debt, but also should not pay this debt first and foremost because the debt emerging from the Troika’s arrangements is a direct infringement on the fundamental human rights of the residents of Greece. Hence, we came to the conclusion that Greece should not pay this debt because it is illegal, illegitimate, and odious. It has also come to the understanding of the Committee that the unsustainability of the Greek public debt was evident from the outset to the international creditors, the Greek authorities, and the corporate media. Yet, the Greek authorities, together with some other governments in the EU, conspired against the restructuring of public debt in 2010 in order to protect financial institutions. The corporate media hid the truth from the public by depicting a situation in which the bailout was argued to benefit Greece, whilst spinning a narrative intended to portray the population as deservers of their own wrongdoings. Chapter 1, Debt before the Troika, analyses the growth of the Greek public debt since the 1980s. It concludes that the increase in debt was not due to excessive public spending, which in fact remained lower than the public spending of other Eurozone countries, but rather due to the payment of extremely high rates of interest to creditors, excessive and unjustified military spending, loss of tax revenues due to illicit capital outflows, state recapitalization of private banks, and the international imbalances created via the flaws in the design of the Monetary Union itself. Adopting the euro led to a drastic increase of private debt in Greece to which major European private banks as well as the Greek banks were exposed. A growing banking crisis contributed to the Greek sovereign debt crisis. George Papandreou’s government helped to present the elements of a banking crisis as a sovereign debt crisis in 2009 by emphasizing and boosting the public deficit and debt. People’s dignity is worth more than illegal, illegitimate, odious and unsustainable debt Having concluded a preliminary investigation, the Committee considers that Greece has been and still is the victim of an attack premeditated and organized by the International Monetary Fund, the European Central Bank, and the European Commission. This violent, illegal, and immoral mission aimed exclusively at shifting private debt onto the public sector. Θα ακολουθήσει ανάρτηση της ελληνικής περίληψης των προκαταρκτικών αποτελεσμάτων της Επιτροπής Αλήθειας Δημοσίου Χρέους. 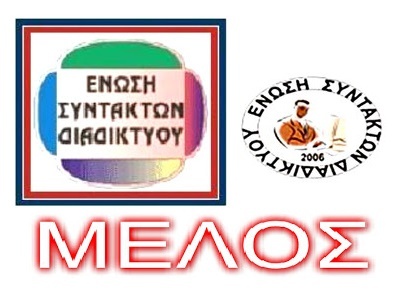 Δημοσιεύθηκε από Ιωάννα στις 6/17/2015 02:20:00 μ.μ.. Εσωτερικές ετικέτες ΚΟΙΝΑ, ΠΟΛΙΤΙΚΑ . 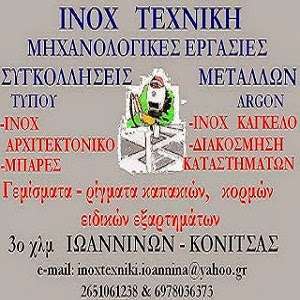 0 σχόλια for "Επιτροπή Αλήθειας Δημοσίου Χρέους."